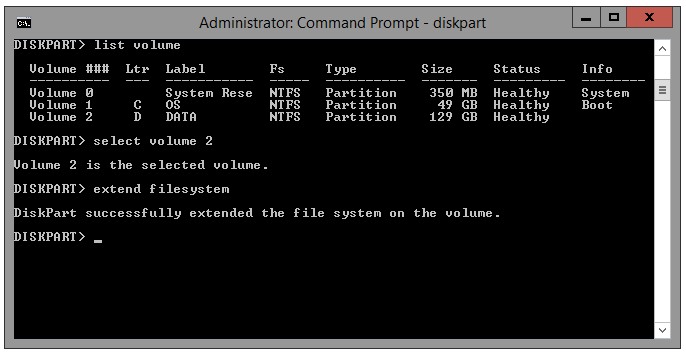 Windows Server 2012 R2 Explorer Reports Wrong Disk Size?!? I have been struggling to fix this rather weird disk space issue for quite some time now. Basically, underlying thin provisioned disk on vSphere 5.5 was extended by additional 5GB (from 125 to 130GB) and expanded using Disk Management from within the OS as per the normal routine. No problems thus far BUT Explorer in Windows Server 2012 R2 was not reporting the increased space and was still showing the 125GB total size! How odd. 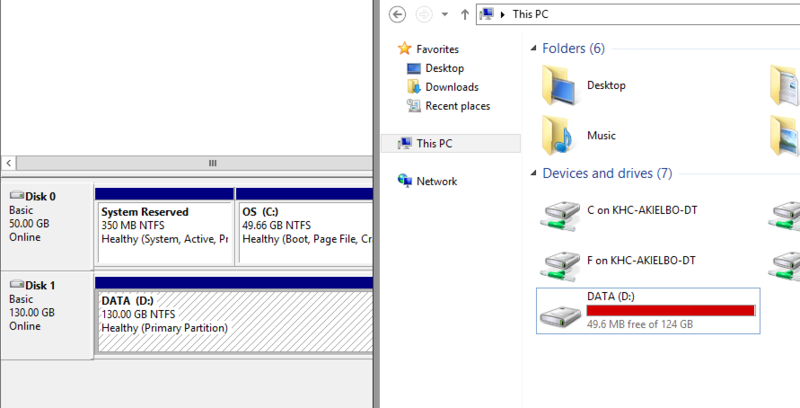 Here is the screenshot for illustration purposes showing Disk Management and Windows Explorer both reporting different values! It’s amazing what you can figure out on your first day back at work in 2016! This entry was posted in Support, VMware, Windows and tagged disk, disk size, VMware, windows server 2012 r2 on January 4, 2016 by Adrian Kielbowicz. Thanks a million for posting this! I just ran into this issue for the first time and your solution worked like a charm. Big time Kudos!!! I had a similar issue it was due to a hard quota I disabled the quota then re enabled it and that corrected my issue.